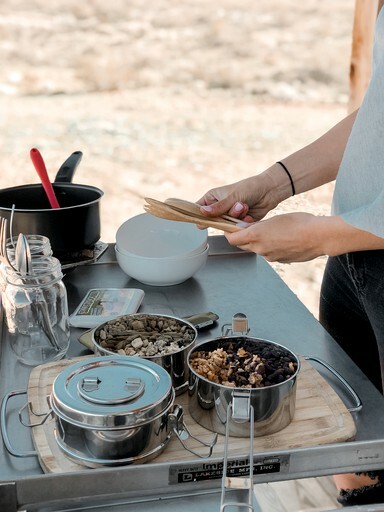 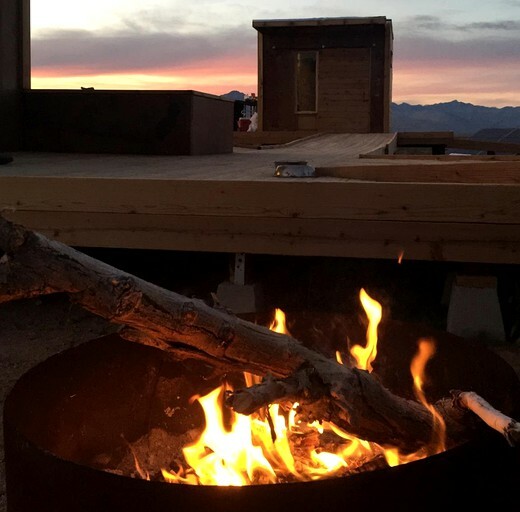 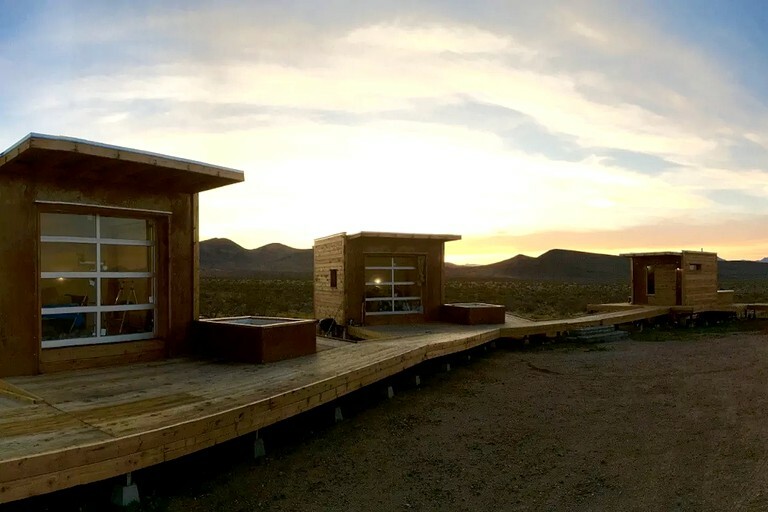 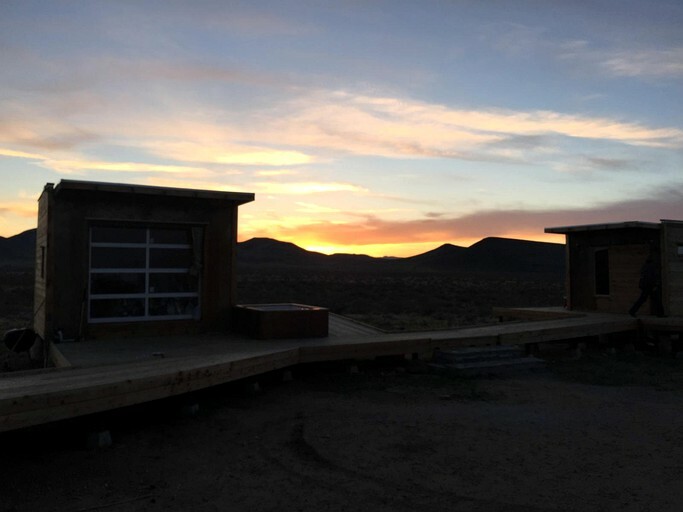 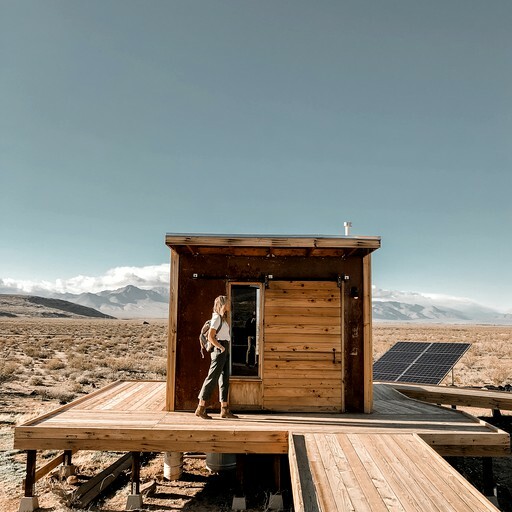 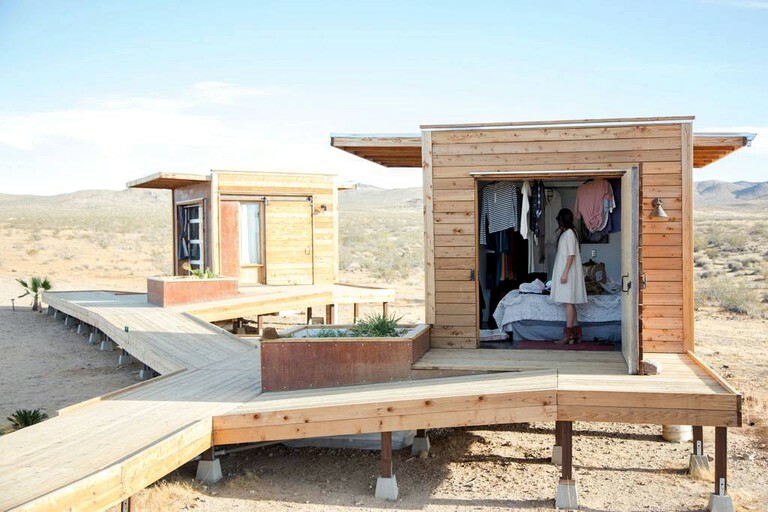 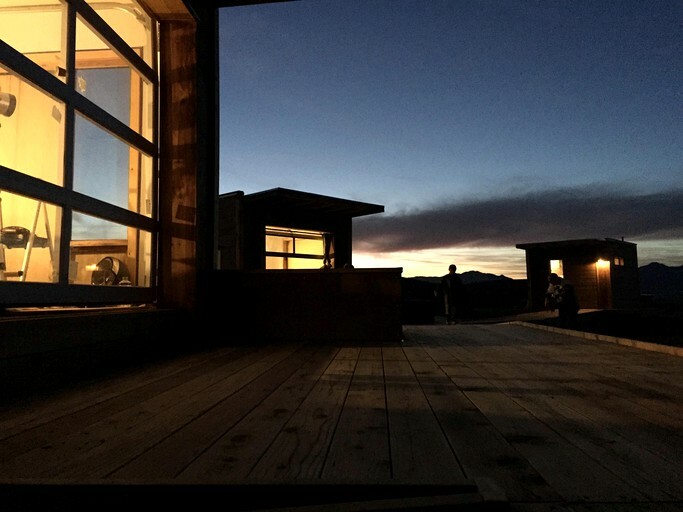 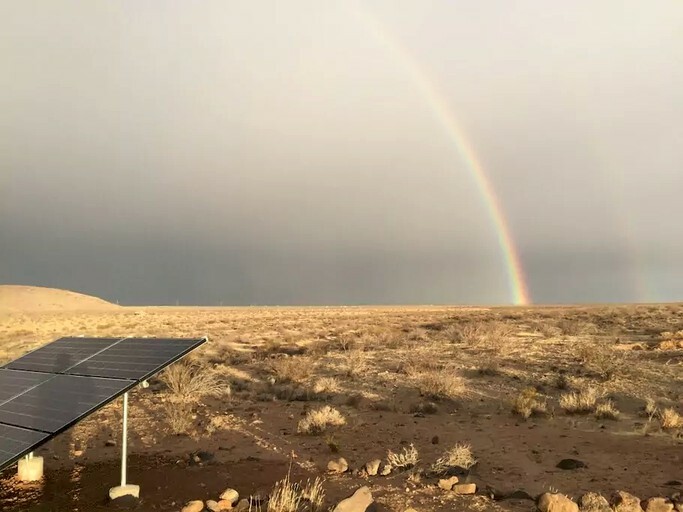 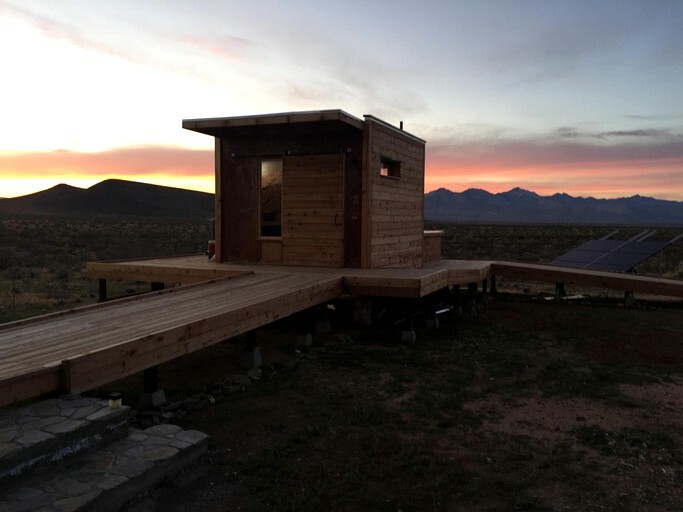 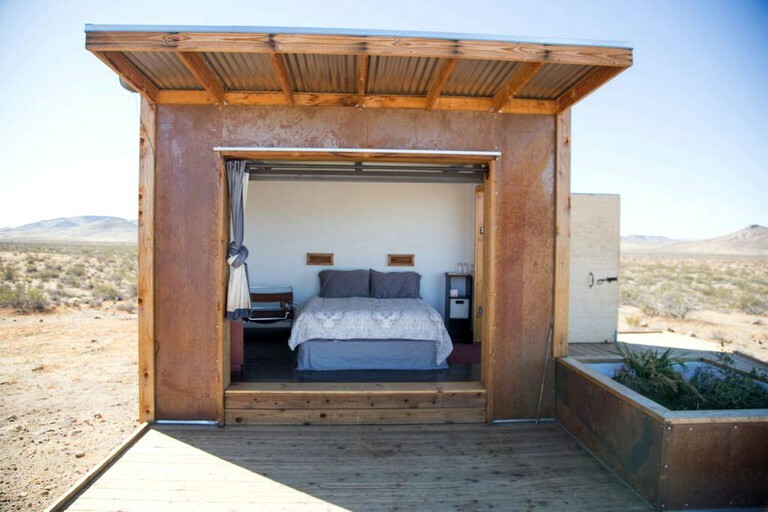 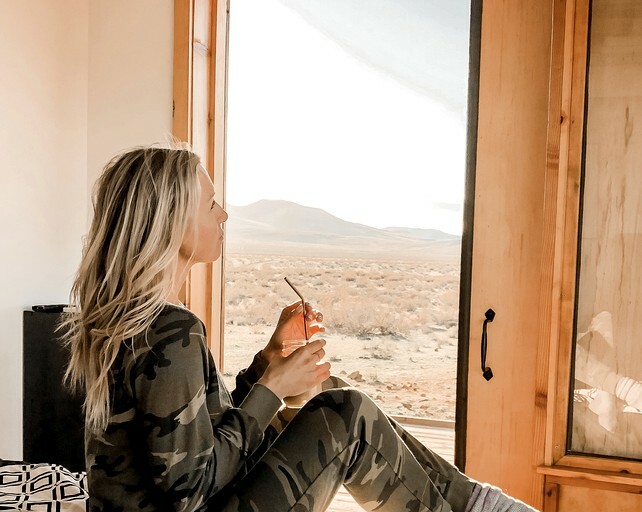 Experience the quiet solitude of the Mojave Desert in style from this glamping eco-pod rental near Ridgecrest, California. 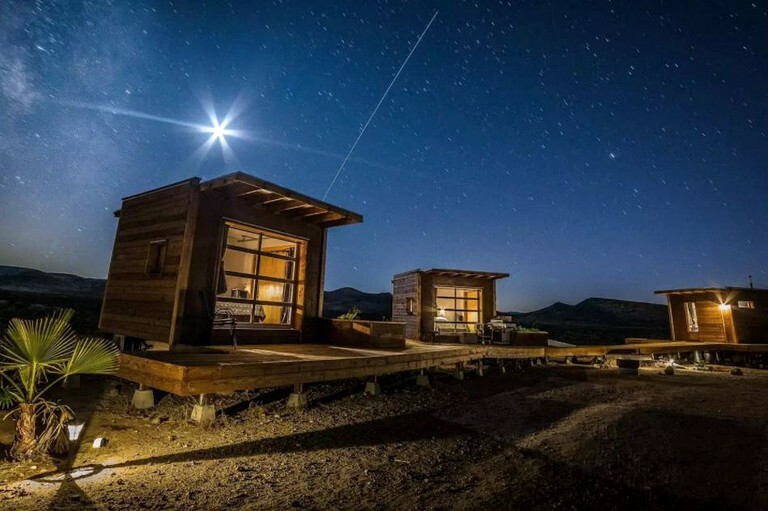 Here, guests can feel the intensity of the sun and the warm winds during the day and be amazed by the dark, starry sky while snuggled up in a queen-size bed. 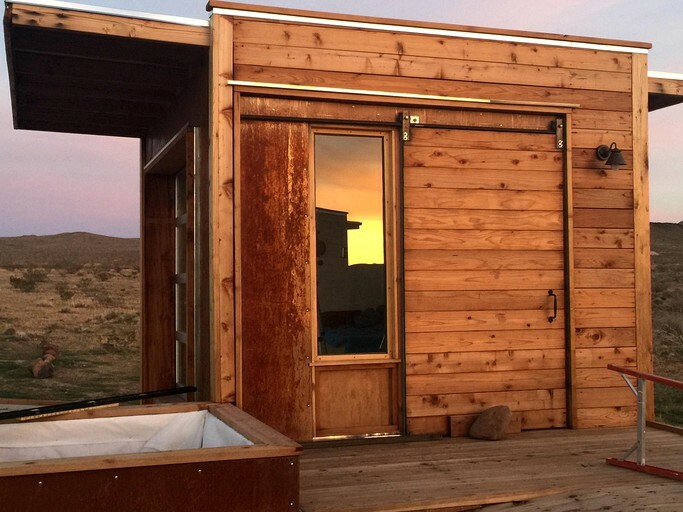 The eco-pod rentals are small and intimate but hugely comfortable and have been built with a wooden exterior and large windows minimalizing its impact on the landscape. 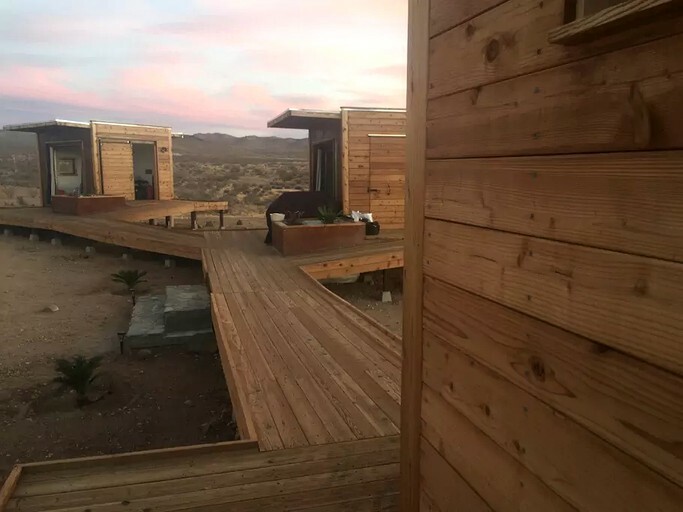 The property has three pods in total, two bedroom pods and one bathroom pod, with an elevated wooden decking connecting all three pods. 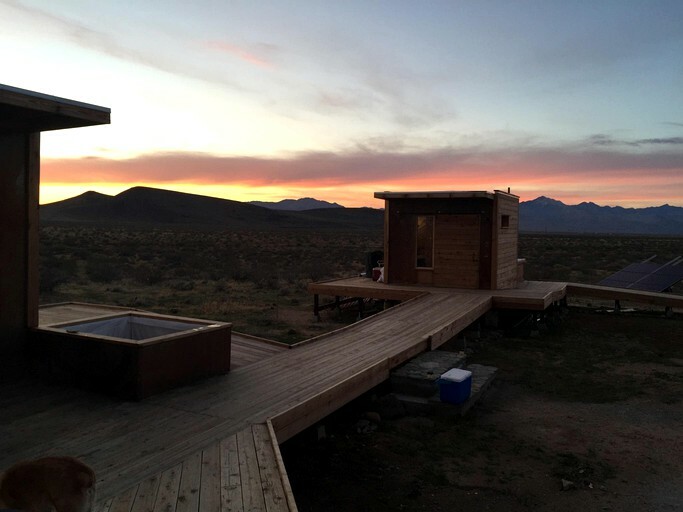 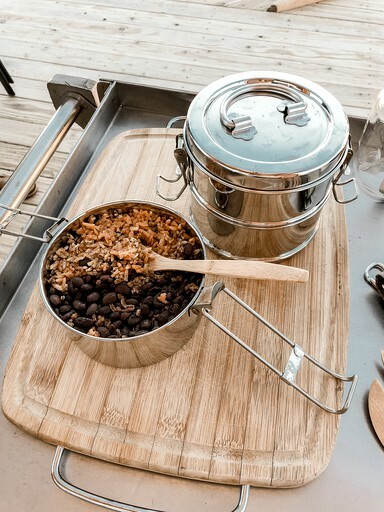 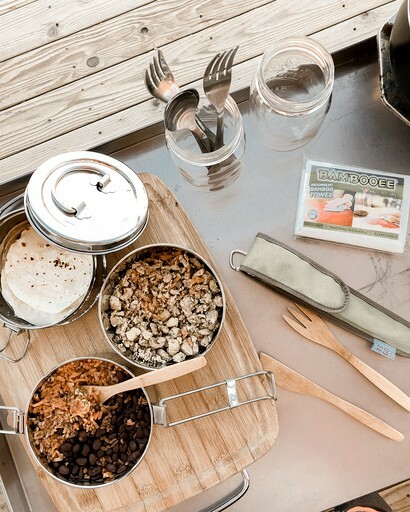 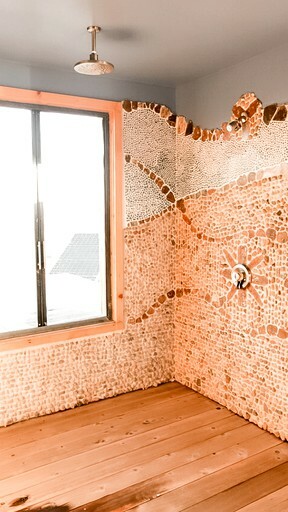 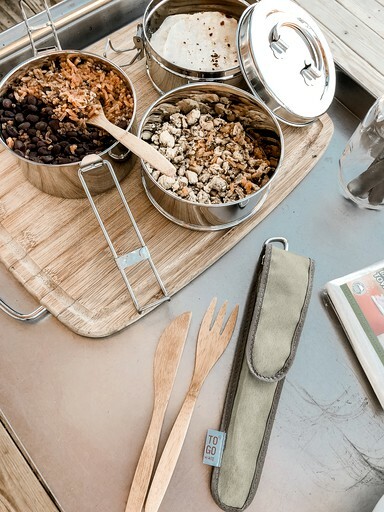 The glamping rental comes with air conditioning and heating for year round comfort, basic toiletries, and a washing machine. 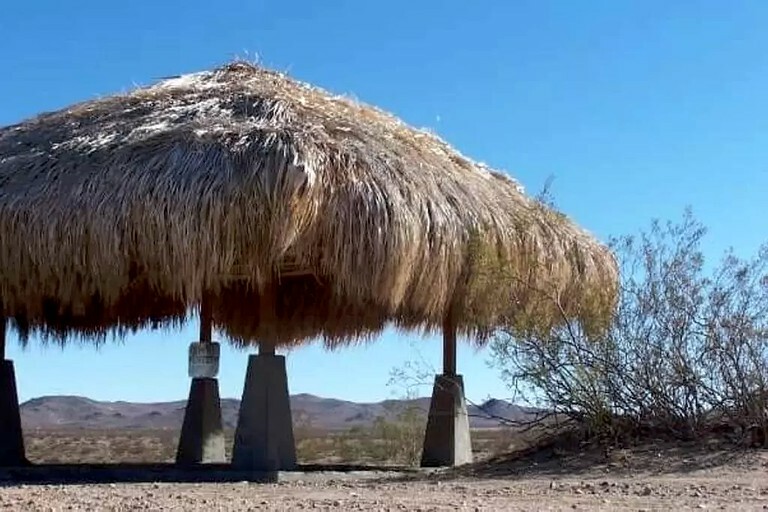 There is also free on-site parking and a thatched-roof palapa gazebo for shade. 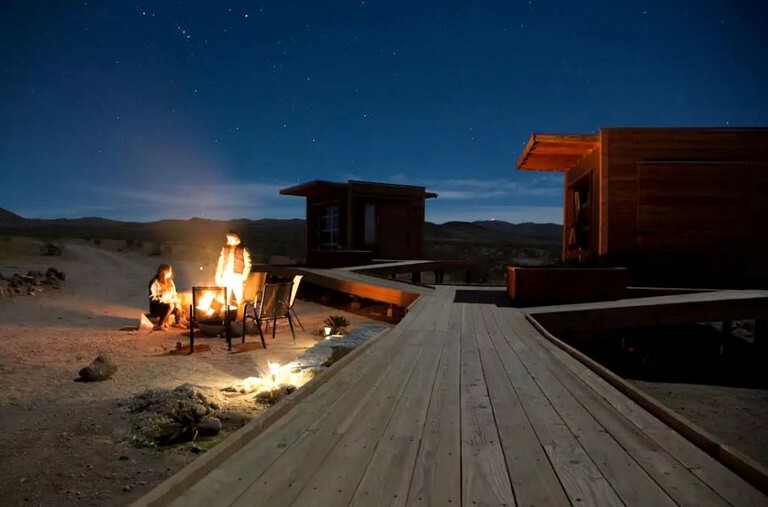 Guests can rent different off-road vehicles for the stay through the host with 14 days notice. 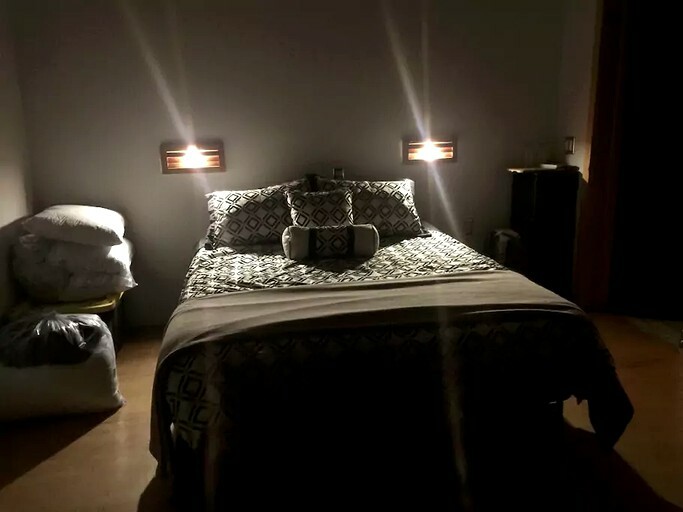 The host also caters for events and parties for an extra fee. 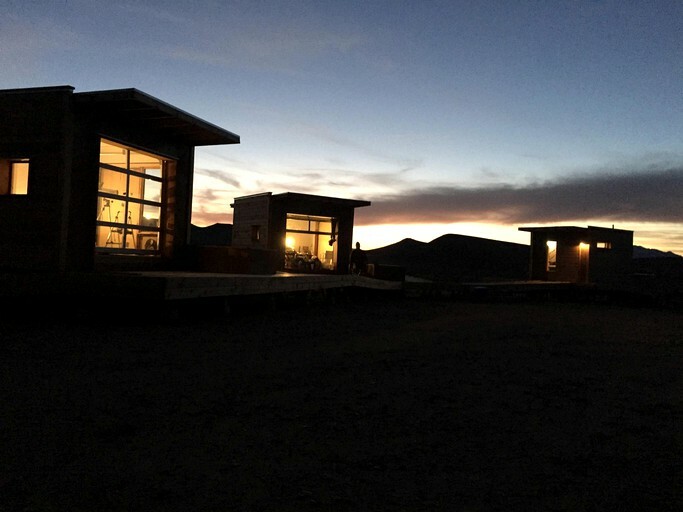 The beauty of being so secluded is that guests can experience the quiet solitude of the desert however they want. 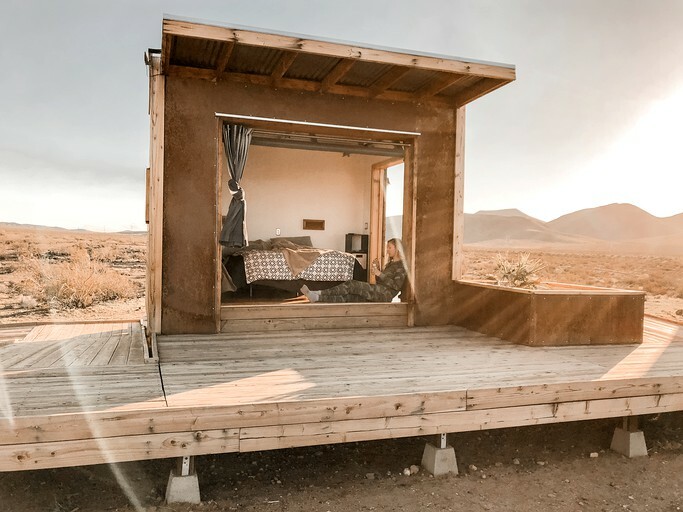 They can explore the surroundings on mountain bikes or on off-road vehicles including quad bikes, dirt bikes, and 4x4’s, or just gently strolling with a camera in hand. 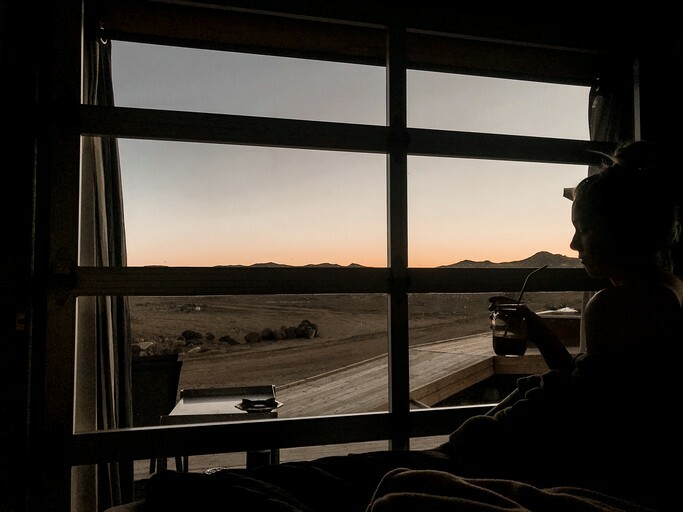 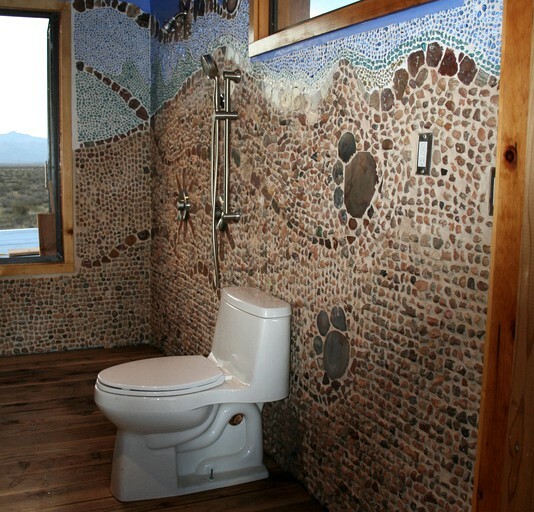 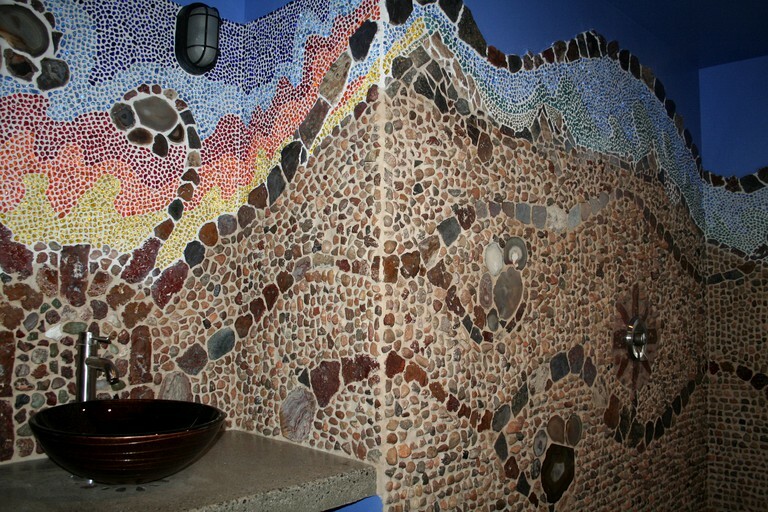 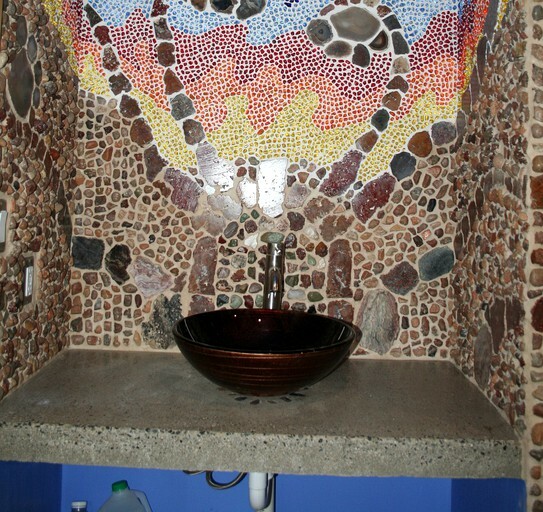 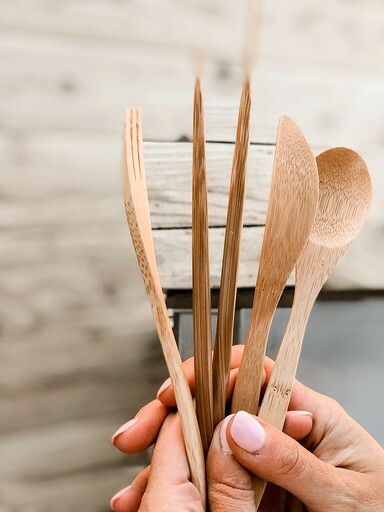 Guests can head into the city of Ridgecrest for shops, restaurants, and bars or check out the ancient petroglyph park where visitors can see Native American rock art dating back to 10,000 years. 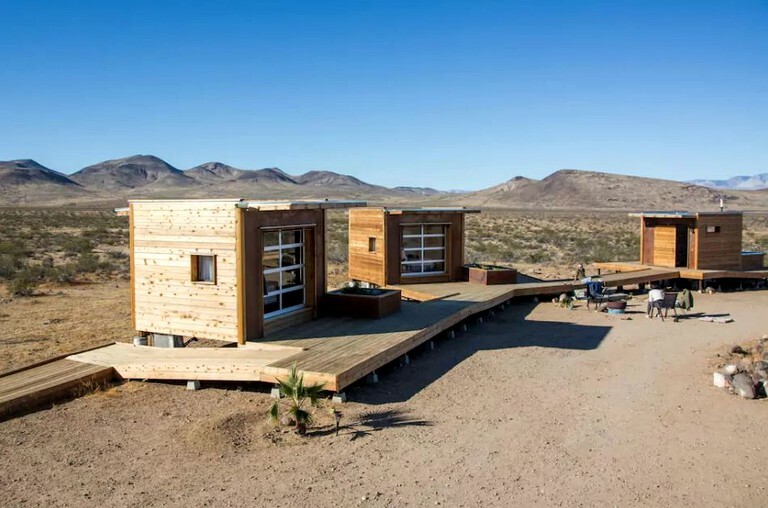 The property is completely off-the-grid, so it can only be accessed with street vehicles or 4x4. 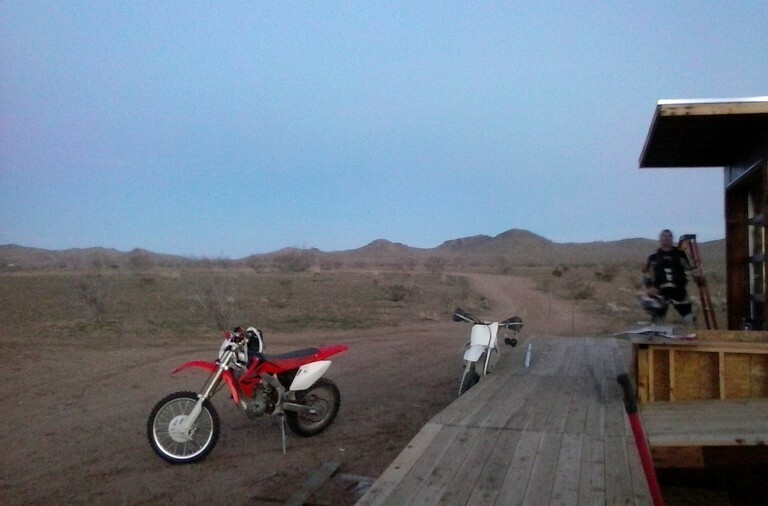 4x4 vehicles will have an easier time accessing nearby desert locations.